If you’ve ever sent an email that you immediately realized wasn’t complete, contained errors, or, even worse, was to the wrong person, you know that feeling of dread. 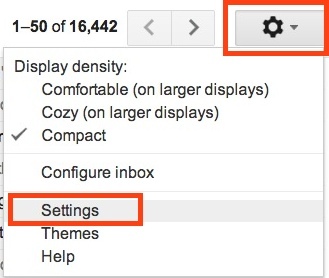 For Gmail users, an optional setting offers a layer of forgiveness to those situations, providing for the ability to recall a sent email if acted upon quickly. This is particularly great for those of us who use Gmail as the default email client for mail sent from web browsers. Currently limited to web mail users only, the Gmail “Undo Send” feature is considered experimental by Google, but it works flawlessly to recall an erroneous email message. Now that Undo Send has been enabled, you can test it out or just trust that it’s there. To use the feature, simply send any email, then look at the top of any Gmail window and after a message is sent you’ll find an “Undo” option available, it’ll be right next to the “Your message was sent” box that shows up in yellow at the top of the screen. Depending on the cancellation period you chose, that “undo” option will float near the top of the screen and offer some forgiveness to recall an email message if you realized there was something sent in error, to the wrong recipient, too many typos, or perhaps just some general regret. When you click “Undo” the email becomes unsent, returns and becomes a draft – it does not get deleted. This lets you quickly correct the error and resend the message, or think it over before sending it again. The recall email function probably works by introducing a timed delay to the message actually being processed and sent to the recipient, since it’s pretty much impossible to pull an email that has already arrived in someone else’s inbox. Assuming that’s the case, the chosen cancellation period is simply adjusting that send delay, so choose something that works best for you. The default setting of 10 seconds isn’t bad and still allows for quick email delivery, though if you’re prone to errors and typos perhaps the more forgiving 20 or 30 second option would be better. Either way, this is an amazingly useful feature that is well worth enabling for all users who use Gmail as their primary email. It’s handy enough that a similar option feature really should be introduced into every email app, whether you’re sending an email from Mail on iOS and an iPhone, to Mac OS X, Windows, and Android… hopefully we’ll get there! 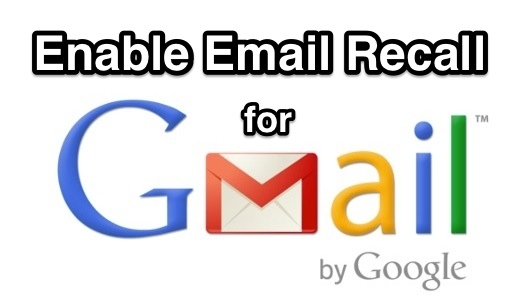 Want some more great GMail tips? Try showing unread messages only in your GMail inbox window, don’t miss these three productivity boosters for Gmail usage, or just browse through our Gmail archives to find a lot of other great tricks. Enabling that, then saving changes, would allow the Undo Send option to appear under General Settings. Happy undoing of sending! Looks like now the website is “Gmail daily”? Paul, please more Mac tips. No, this is OSXDaily, we cover just about anything that is helpful for all Apple users, as we’ve been doing since 2006. Many of us use Gmail for email, but if you don’t use Gmail then you probably won’t find this tip useful, and that’s ok! Many more Mac and Apple tips to come, as usual! Keep up good work Paul. Steve is just presenting 1%, never satisfied ones. Keep the good work! this is a great tip, really thank you! !